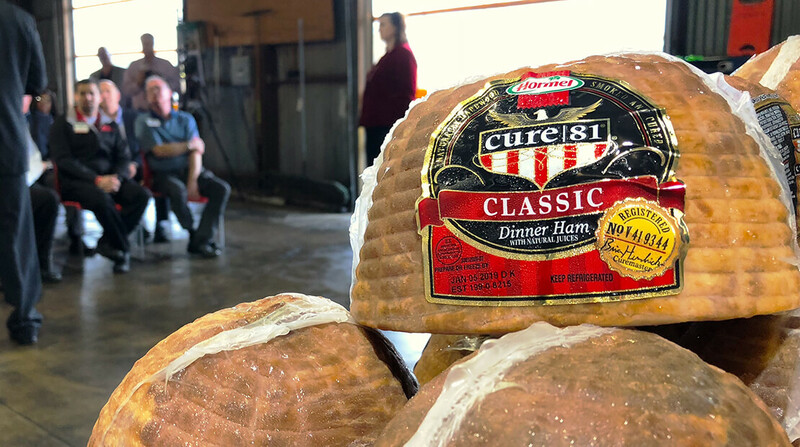 Hormel Foods Corporation and Brookshire Grocery Co. today donated 7,500 Hormel® Cure 81® half hams to the Food Bank of Northwest Louisiana to help feed those in need this holiday season. In total, the two companies are donating over $150,000 worth of hams to dozens of food banks and food kitchens in communities where Brookshire’s, Super 1 Foods and Spring Market stores operate. The makers of the Hormel® Cure 81® brand created the Hormel® Cure 81® Hams for Hunger™ program in 1989. The program involves a partnership between Hormel Foods and grocery retailers across the country with more than $13 million dollars in hams donated since its inception. Hormel Foods will donate more than 55,000 hams to charities nationwide through the Hormel® Cure 81® Hams for Hunger™ program this holiday season.